Harold George “Harry” Belafonte, Jr. is an American singer, actor, and social activist. Belafonte has many reservations with that title because he is much more than that. He is an inspirational figure that has done so much for the African-American community. Belafonte’s success did not protect him from racial discrimination, particularly in the American South. Belafonte refused to perform there from 1954 until 1961. In 1960, he appeared in a campaign commercial for Democratic Presidential candidate John F. Kennedy. 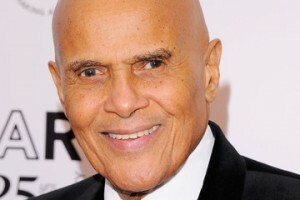 Kennedy later named Belafonte cultural advisor to the Peace Corps. Belafonte supported the Civil Rights Movement in the 1950′s and was one of Martin Luther King Jr.’s confidants. He provided for King’s family, since King made only $8,000 a year as a preacher. Like many civil rights activists, Belafonte was blacklisted during the McCarthy era. He bailed King out of the Birmingham City Jail and raised thousands of dollars to release other civil rights protesters. He financed the Freedom Riders, supported voter registration drives, and helped to organize the March on Washington in 1963. During “Freedom Summer” in 1964, Belafonte bankrolled the Student Non-Violence Coordinating Committee, flying to Mississippi that August with $60,000 in cash and entertaining crowds in Greenwood. In 1968, Belafonte appeared on a Petula Clark primetime television special on NBC. In the middle of a song, Clark smiled and briefly touched Belafonte’s arm, which made the show’s sponsor, Plymouth Motors, nervous because of the interracial aspect. Plymouth wanted to cut the segment, but Clark, who had ownership of the special, told NBC that the performance would be shown intact or she would not allow the special to be aired at all. Newspapers reported the controversy and, when the special aired, it grabbed high ratings. Belafonte appeared on The Smothers Brothers Comedy Hour and performed a controversial “Mardi Gras” number with footage intercut from the 1968 Democratic National Convention riots. CBS censors deleted the segment. In 1985, he helped organize the Grammy Award winning song “We Are the World”, a multi-artist effort to raise funds for Africa. He performed in the Live Aid concert that same year. In 1987, he received an appointment to UNICEF as a Goodwill Ambassador. Following his appointment, Belafonte traveled to Dakar, Senegal, where he served as chairman of the International Symposium of Artists and Intellectuals for African Children. He also helped to raise funds—alongside more than 20 other artists—in the largest concert ever held in sub-Saharan Africa. In 1994 he went on a mission to Rwanda and launched a media campaign to raise awareness for the needs of Rwandan children. In 2001 he went to South Africa to support the campaign against HIV/AIDS. In 2002, Africare awarded him the Bishop John T. Walker Distinguished Humanitarian Service Award for his efforts to assist Africa. In 2004 Belafonte went to Kenya to stress the importance of educating children in the region. Belafonte has been involved in prostate cancer advocacy since 1996, when he was diagnosed and successfully treated for the disease. On June 27, 2006, Belafonte was the recipient of the BET Humanitarian Award at the BET Awards. He was named one of nine 2006 Impact Award recipients by AARP The Magazine. Belafonte has been a longtime critic of U.S. foreign policy. He began making controversial political statements on this subject in the early 1980s. He has, at various times, made statements opposing the U.S. embargo on Cuba; praising Soviet peace initiatives; attacking the U.S. invasion of Grenada; praising the Abraham Lincoln Brigade; honoring Ethel and Julius Rosenberg and praising Fidel Castro. Belafonte is additionally known for his visit to Cuba which helped ensure hip-hop’s place in Cuban society. According to Geoffrey Baker’s article “Hip hop, Revolution! Nationalizing Rap in Cuba,” in 1999, Belafonte met with representatives of the rap community immediately before meeting with Fidel Castro. This meeting resulted in Castro’s personal approval of (and hence the government’s involvement in), the incorporation of rap into his country’s culture. Belafonte is a multi-talented individual who has had a diverse acting career. Motherland (2009) (documentary), and recently Sing Your Song (2011) (documentary). Harry Belafonte has made numerous contributions towards the progression of African-Americans, and for some reason his name is not mentioned among some of the great civil rights leaders. He is a man who deserves so much more praise than he receives and we at WhatBlackMenWant feel it is absolutely necessary to highlight his achievements. BM, why do you think that Harry Belafonte has not received as much praise as he deserves? Please speak on this. You’ve got to be kidding meit’s so tarnpsaertnly clear now!